Recently, I have been having similar conversations a lot. 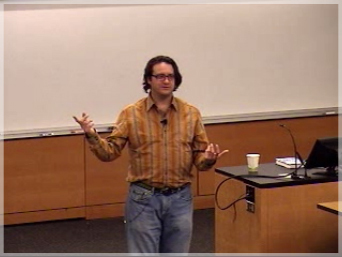 Brad Feld, my wife (who does not read my blog) and I were talking about marathon running. All three of us had an experience in long distance runs (Disclosure: I have never run a marathon, but have done a half) where you don’t really know where you are or what is going on. You are just running. It is a metaphor for business and life. Sometimes you need the courage and determination to see your goals through even if you do not know where they are going to take you. You know that there is a finish line, but you have no idea what it looks like or how you will feel when you get there. Sounds trite and rote. You have read it a thousand times. So have I. The funny thing is that I found my mind drifting to this monkey above on my last run and how many times I have “fallen from the tree.” Somehow, it never stops me. I get back up and keep on going.